Over 250 years ago, King Louis XV of France decreed that the region of Alsace, with its already rich history in textiles, may refer to their craft as part of a prestigious royal industry. As such, some of the best fabrics in the world now hail from Alsace. A proud Entreprise du Patrimoine Vivant (Living Heritage Company), Beauvillé French linens indeed call the Alsace region home – here, they produce fabrics and tabletop textiles to uncompromising quality. 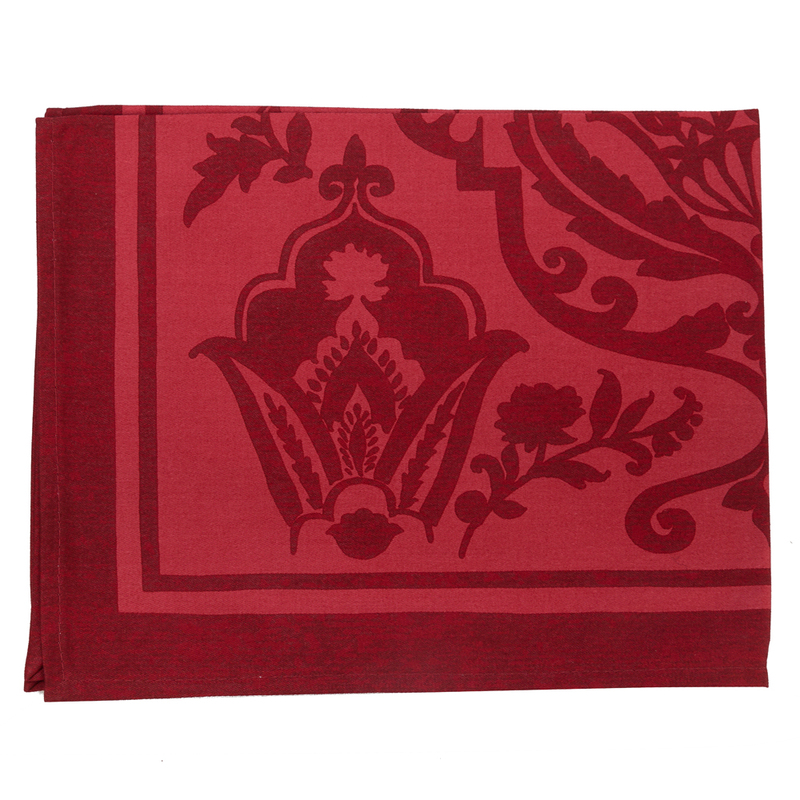 With a wonderful crisp softness, rich colours and a choice of vibrant patterns, Beauvillé tablecloths and napkins will inspire your dinner table to be more than just a piece of furniture in the home thanks to their exceptional attention to detail, motifs and over two centuries spent perfecting their craft. Printed and made in France. Made from 100% cotton with a beautifully smooth, sateen-like weave. Presented in a Beauvillé gift box. Dimensions: 38cm (h) x 48cm (w).